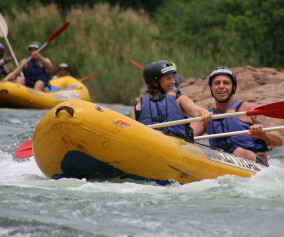 The Great Usutu River hosted two legs of Expedition Africa Swaziland 2015 – a canoeing leg – which was undertaken in sit-on-top plastic canoes and a white-water rafting section managed by Swazi Trails. 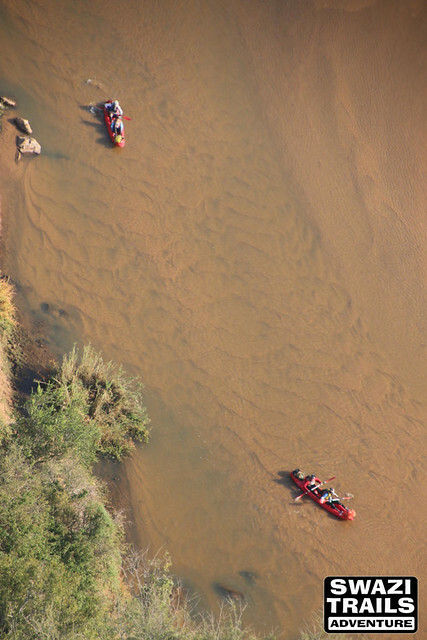 The river itself was running at a low level due to the onset of drought in Swaziland, with competitors being hard pressed to concentrate on finding the deepest channels as the stream meandered from side-to-side. 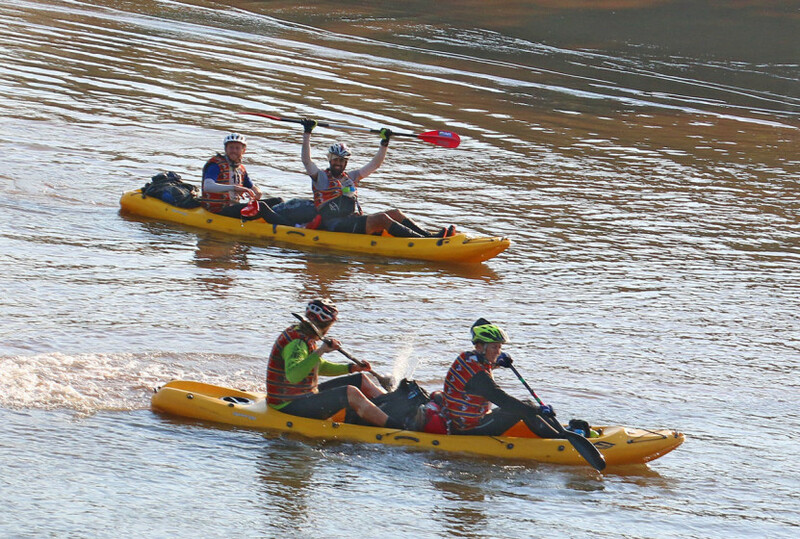 Top teams reached this section on Day 3 of the event, after enjoying a welcome “dark zone” sleep on the river bank upstream. The slower teams arrived here on day 4.